In The Trend of Economic Thinking Hayek presents many of the figures that influenced the development of his economic thought. 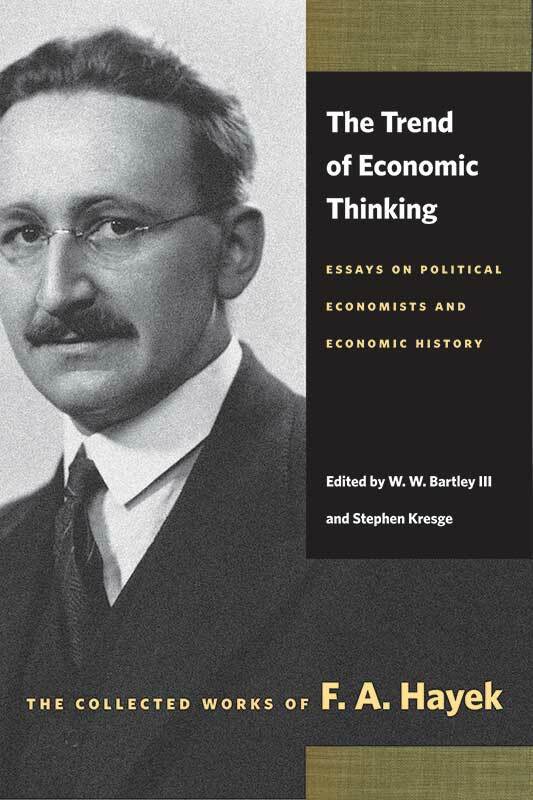 The articles range from well-known economists such as Mandeville, Hume, Smith, and Bastiat, to lesser-known figures such as Dupuit and Gossen, showing the breadth of Hayek’s study of the history of economic thought. W. W. Bartley, III (1934–1990) was a Professor of Philosophy and a Senior Research Fellow at Stanford University and an author. Editorial foreword by W. W. Bartley, III, introduction by Stephen Kresge, chronological list of contents, bibliographical note, index.